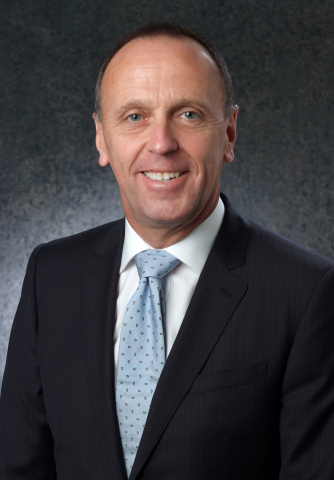 Fluor Corporation (NYSE:FLR) announced today that the U.S.-China Business Council (USCBC) has elected Fluor’s Chief Operating Officer, Peter Oosterveer, to its board. As a USCBC board member, Oosterveer will work to advance the commercial relationship between the two countries to support trade and investment opportunities. Active in China since 1978, Fluor has successfully completed more than 280 projects across 20 provinces and municipalities for multinational companies and China’s state-owned enterprises, delivering a full range of project management, engineering, procurement, fabrication and construction services. Active since 1973, the USCBC is a private, nonpartisan, nonprofit organization of approximately 220 American companies that do business with China. Its mission is to expand the U.S.-China commercial relationship to the benefit of its membership and, more broadly, the U.S. economy. Oosterveer joins senior business leaders from leading global companies who serve as USCBC officers and board members. Fluor Corporation (NYSE:FLR) is a global engineering and construction firm that designs and builds some of the world’s most complex projects. The company creates and delivers innovative and integrated solutions for its clients in engineering, procurement, fabrication, construction, maintenance and project management on a global basis. For more than a century, Fluor has served clients in the energy, chemicals, government, industrial, infrastructure, mining and power market sectors. Headquartered in Irving, Texas, Fluor ranks 136 on the FORTUNE 500 list. With 40,000 employees worldwide, the company’s revenue for 2014 was $21.5 billion. Visit Fluor at www.fluor.com and follow on Twitter @FluorCorp.